The plan for our future is to co-locate the hospital onto the nursing home campus. We know the best situation would be to build one new building designed to house all entities, but the cost to construct a new nursing home, clinic, and hospital is more than our debt capacity will allow. Therefore, the answer is to co-locate on one existing campus. By co-locating, our studies show that we can staff all of the current services that we provide without utilizing contract agency staff. This would save approximately $500,000 a year. This plan will also allow us to expand our ER and Clinic as well as house the Therapy/Rehab departments on the same campus. Patient care will be improved and our ability to meet the increased demand in outpatient areas will situate us for financial viability for many years to come. 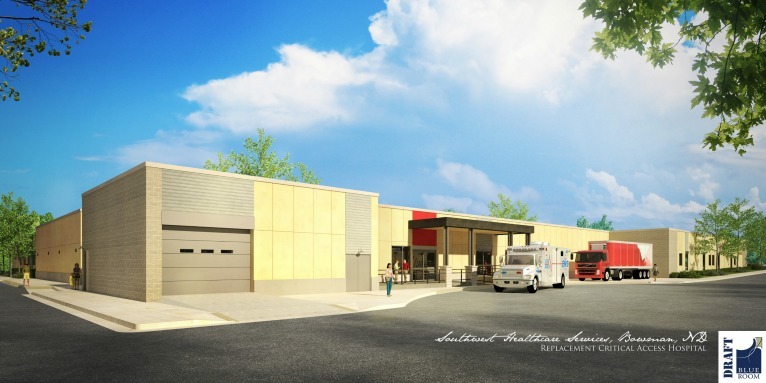 Co-locate a new 60,000 square foot Hospital/ Clinic on the nursing home campus. Expand Emergency Room Space in the new hospital. 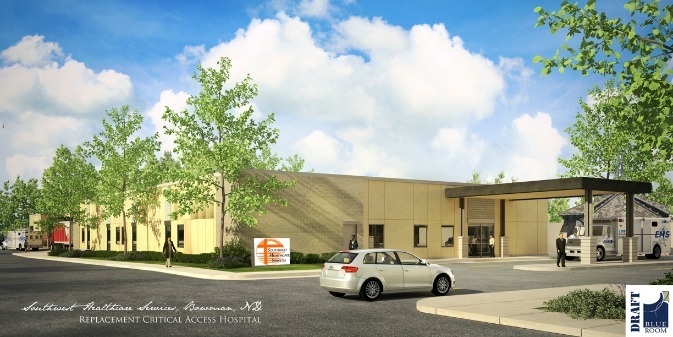 Expand Rural Health Clinic and ancillary services departments in the new building in order to provide for a more efficient and customer friendly patient flow. Locate both Outpatient and Inpatient Therapy/Rehab departments on one site creating efficiencies is our staffing and services provided. Create one Central Business Office (CBO) for the entire organization. Expand the Activities area in the existing long-term care facility in order to better provide activities for both long-term care residents from the nursing home and extended swing bed in the hospital. 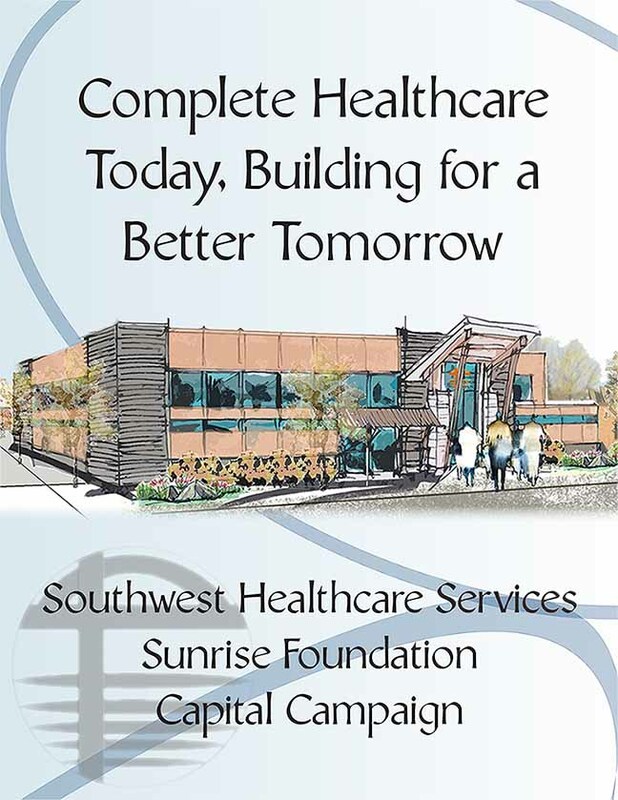 These moves will eliminate the need for contract labor, replace the old and aging hospital plant, and position Southwest Healthcare Services for future growth in ER, Clinic, Therapies and other ancillary services. One of the most difficult challenges for Southwest Healthcare Services has been staffing. Bowman is starting to see the housing shortage and in turn, an increase in the cost of housing. The lack of affordable housing and rental property has made it difficult for front line staff to relocate to our area. This has created a situation in the majority of western North Dakota in which health care organizations, specifically long term care facilities, rely on contract agencies to supply us with certified nursing assistants, and at times professional nurses, to meet our staffing needs. We have attempted to maintain competitive wages in these job categories and attract new employees, but we find that the agencies will match the wage increases we offer and then continue to pass those increased costs along to us. Another significant issue is our aging hospital plant. The existing hospital was built back in the 1950’s. The hospital’s walls and plumbing are becoming more of a cost concern as they age and decay. We find that we cannot access the plumbing without destroying the walls in order to replace corroding pipes. When installing and updating equipment, we often have to run the electrical wiring along the outside of walls which is unsafe and an “eye sore”. 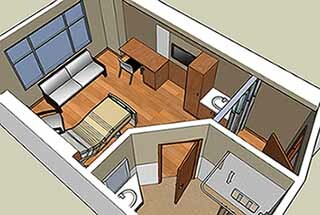 The current layout does not meet ADA (Americans with Disabilities Act) requirements as it does not provide for a ground level entry into the building. The biggest issue is that we need an updated facility and the best of technology in order to provide quality healthcare to our growing patient population. We know that it will be more difficult to maintain technology and meet the ever-changing government regulations if the hospital is not constructed at this time. We also know it will be difficult to recruit and retain healthcare professionals without updated technology and a new hospital building. We have seen a 30% increase in our emergency room visits in the past several years and the existing Emergency Room is not able to be expanded to handle the increase in volume. The clinic volume is also on the rise and there is not adequate room for the addition of more healthcare providers. We have already found that we cannot find enough rooms for patient volumes at peak times. Clinic volume has increased over 23% in the past five years. We have more than 9,000 clinic visits per year as opposed to approximately 7,000 visits five years ago.